May this be a great and unforgettable journey for all of you! 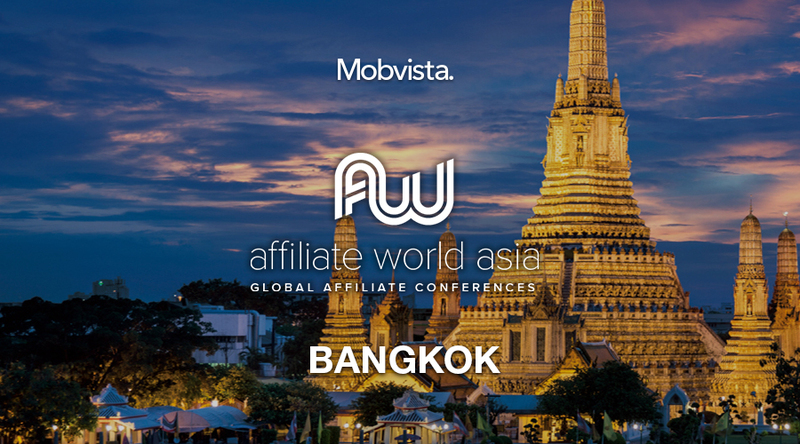 With the close end of the year of 2017, Mobvista is finishing the 2017 conference season with the flagship superaffiliate global conference – Affiliate World Asia, where performance marketing’s leading minds are gathering to share knowledge, build up contacts and exchange ideas. Visit this exciting event from December 6th to 7th, 2017 in Bangkok, Thailand, and get a chance to take a close look at ideas and insights of the industry. It’s predicted that this year, over 2400 visitors will attend the conference. As the Diamond Sponsor of the conference, Mobvista takes the nicely designed booth of B23. Come find us! Besides, at Dec. 7th, 14:15-15:15, Benny Zheng, Head of Traffic Partnership at Mobvista, is going to attend the panel discuss with two affiliate experts from SEA and EMEA. They are going to talk about the current state of the market and share prediction on 2018 Affiliate Markets.